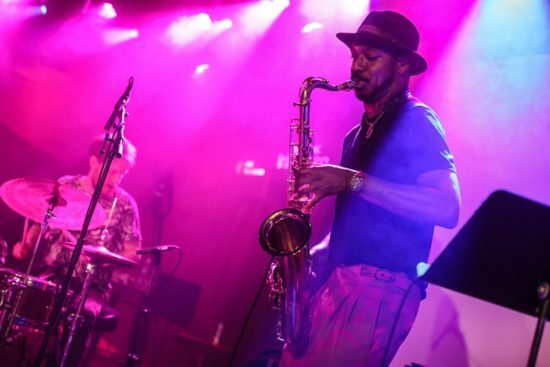 New York’s Winter Jazzfest, now in its 15th year, has announced a list of musicians who will appear at the 2019 festival, which is scheduled to run Friday, Jan. 4, through Saturday, Jan. 12. The festival will include a British jazz showcase, a 50th-anniversary celebration of ECM Records, and an opening-night concert featuring Meshell Ndegeocello, the festival’s artist in residence, playing the music of Prince. Ndegeocello will also participate in at least one of the talks put on by Winter Jazzfest, helmed by critic Nate Chinen of WBGO. As usual, the festival will be capped off with a two-night marathon run of shows in 11 venues in and around the West Village. This year’s marathon is scheduled for Friday, Jan. 11 and Saturday, Jan. 12. There will also be a “half marathon” on Saturday, Jan. 5, at seven venues: Le Poisson Rouge, SOBs, Subculture, the Sheen Center, Nublu, Zinc Bar, and the Bitter End. For more information and to buy tickets, which went on sale Friday, Oct. 26, go here.